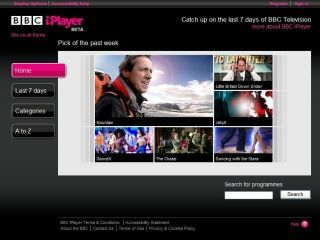 Eric Huggers, Director of Future Media and Technology at the BBC, has announced that the iPlayer could be opened up to include third-party broadcasters. Speaking at IBC (International Broadcasting Convention) in Amsterdam – a place where the BBC has already been very vocal about the future of 3D – Huggers revealed that the broadcaster is willing to accept outside content. "We've had a lot of requests from domestic and international broadcasters to open out iPlayer technology and we're responding to that," he explained. We have a lot of people searching for Coronation Street on our sites and if ITV were to come on board we could redirect them." This idea of an open iPlayer has been mooted for some time by the BBC, under the name Marquee. The idea came after Project Kangaroo was blocked by the Competition Commission. Huggers continued: "The concept of opening up our investment and technology infrastructure, user experience and design is central for us in helping other broadcasters achieve their goals of continuing to have a direct relationship with users rather than being disintermediated by third-party aggregators." He concluded with: "The iPlayer isn't something you can stick on a DVD, install and run. "We can offer other free-to-air broadcasters a chance to share in our investment and get into on-demand."